News | Full Throttle Karting! David Pergande showed speed throughout the weekend in Phoenix. Earning two podiums in two days. David Pergande was in fine form at the Challenge of the Americas event in Phoenix, AZ. He found the podium multiple times and and topped a couple of the timed sessions on track. Birthday boy Ed Quinn shared in the speed and earned his first COTA podium on Sunday. The Cambrian Go-Karts Masters Rotax championship is all in the hands of Billy Cleavelin, earning his third victory in three rounds. Cleavelin dominated the day with a perfect score, extending his points lead at the halfway mark. The Rolison Performance Group / Kosmic driver posted a 47.173-second lap for fast time, and never relinquished the top spot all day. David Pergande (FTK / Tony Kart) ran second all day with Matt Newton (SCR / Kosmic) completing the podium. Bill Kann (SCR / Ricciardo) drove to fourth with Chad Wallace (BBR / Birel ART) finishing fifth. FTK 2nd & 3rd on Sunday. 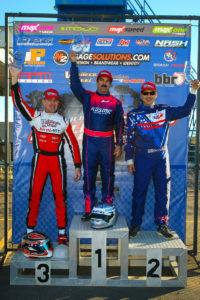 Great to see series promoter Andy standing next to his boys on the podium. 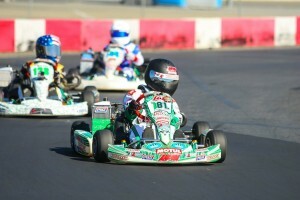 Billy Cleavelin in the Cambrian Go-Karts Masters Rotax division, went untouched all weekend long. Cleavelin competed another sweep on Sunday, leading from qualifying into the Prefinal and every lap of the Final for a fourth straight victory, nearly locking in his ticket to the Rotax Grand Finals with the class championship. David Pergande (FTK / Tony Kart) drove a solid second with Ed Quinn (FTK / Birel ART) celebrating his birthday by earning his first Challenge podium in third. Chad Wallace (BBR / Birel ART) worked his back up to fourth after a spin, working past Bill Kann (SCR / Ricciardo). For more information on the MAXSpeed Group, promoted events including the Rotax Summer Shootout, Rotax MAX Challenge United States Grand Nationals, Rotax Pan American Championships, Rotax Max Challenge Grand Finals, Team USA and the entire Rotax program, please visit www.GoRotax.com. Be sure to like GoRotax on Facebook (www.Facebook.com/GoRotax) and follow on Twitter (www.Twitter.com/GoRotax). March 13, 2014 – MAXSpeed Group, one of the top Rotax MAX distributors in the world, is once again set to provide awards for Rotax competitors. With the final rounds of the annual Florida Winter Tour (FWT) and Rotax Challenge of the Americas (COA) forthcoming, officials at the MAXSpeed Group will offer a free set of Mojo Tires to the hard charging participant in each division. Officially announced as the ‘#GoRotax Hard Charger Award presented by MAXSpeed Group’, the participant gaining the most positions in the main event will be awarded a free set of Mojo Tires at the podium celebrations that afternoon. Taking place in all seven Rotax divisions at both the final rounds of the Florida Winter Tour and Rotax Challenge of the Americas, the MAXSpeed Group will give away twenty-eight sets of tires, one for each main event hard charger on both Saturday and Sunday. MAXSpeed Group and GoRotax.com are also challenging all competitors and Rotaxians to a social media challenge. Post your Rotax photo on Facebook and/or Twitter with the hashtag #GoRotax, for your chance to win a prize pack. Winners will be announced online on April 1, 2014. ORANGE, CA (March 13, 2014) – The new So-Cal Rotax Challenge kicked off their inaugural season with the opening round contested on March 9 at the CalSpeed Karting Center located just outside the Auto Club Speedway in Fontana, California. Sunny skies greeted the 50 drivers making history as the new United States Rotax Max Challenge program began a new era in Southern California. The action was exciting in each category that took to the 3/4-mile course first of eight championship rounds, along with racers earning their first ‘punch’ toward qualifying to race at the 2014 United States Rotax Grand Nationals at Miller Motorsports Park in July. The format for opening round of the So-Cal Rotax Challenge featured a throwback to club racing, as all classes were set by a ‘pea pick’ for position to open up the first heat race. The grid for heat two saw the field inverted, with points deciding the lineup for each main event. Series promoter Andy Seesemann will keep the racers on their toes, mixing up each event format in the future. Racers took to the ‘Grande’ circuit of the CalSpeed facility, going in the counter-clockwise direction. Scoring the first-ever So-Cal victories were seven drivers beginning their chase off right toward becoming the inaugural series champions. Jake Craig dominated the opening round of the Tru Tech Senior Max class. Craig started near the front of heat one, which allowed him to take over the top spot by the completion of lap one. He started at the back of the pack to begin heat two, charging to the front end of the field and assuming the lead by lap five of the 10-lap race. Craig scored the win seven tenths of a second ahead of Nathan Seegrist, earning the pole position for the Final. Craig went wire-to-wire, leading all 20 laps and driving to over a five-second victory ahead of Carlee Taylor, who came up from sixth on the grid. Seegrist completed the Senior podium with Eric Molinatti and Alejandro Fernandez rounding out the top-five. A solid 14 drivers, matching the count of the Senior field, filled the grid for the PSL SoCal Masters Max race in Fontana, with the complexion of the race coming down to everyone chasing just two. John Crow and Erik Jackson battled clean but competitive all day, trading wins with Crow eventually coming out on top with the first main event victory of the season. Both Crow and Jackson started heat one at the front of the grid, with Crow leading all 10 laps as Jackson finished right behind Crow’s rear bumper. Crow and Jackson started the second heat at the back of the field, with Jackson making quick work of the karts ahead of him to take the top spot by lap five and score the win. Crow made his way through his competition as well, but could only get to third before he ran out of laps. Crow set the tone early in the Final, securing the lead with Jackson in tow. Jackson assumed the lead for a few laps, before Crow retook the position and began pulling away. The 2012 Team USA driver checked out to a two-second victory ahead of Jackson. Chris Karlen crossed the line third, but was removed in tech for a float arm height issue. That put Larry Hayashigawa into third over Peter Mokran and Michael Boyer. Christian Brooks has been winning many races thus far into the 2014 season, both at the regional and national level. 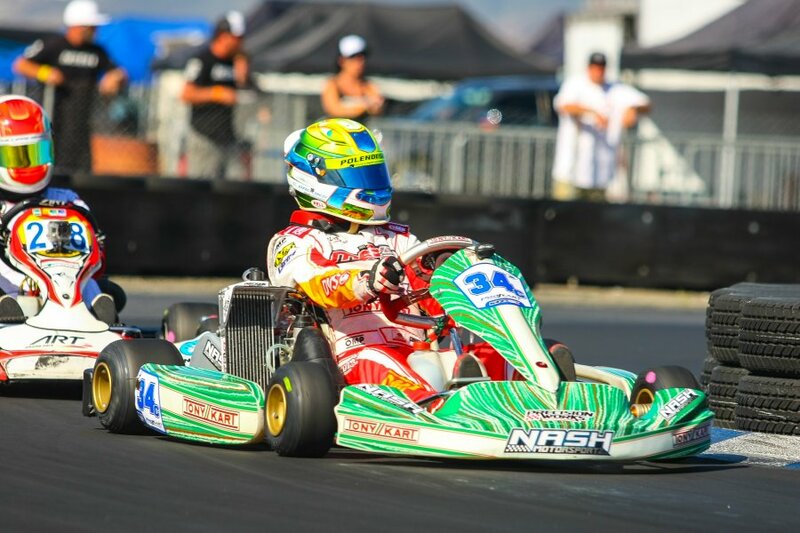 The California racer took his winning ways to CalSpeed last weekend as he swept the day’s action in the Nash Motorsportz Junior Max class. Brooks led each lap of the first heat race, taking the win by nearly a full second ahead of Phillippe Denes. The second heat race threatened Brooks’ perfect run on the day as he spent nearly the entire race chasing Denes. Brooks took the lead away from Denes on lap seven before driving to the win and the pole position for the main event. Denes hung tough with Brooks the first half of the feature race before taking the lead on lap 11. Brooks would reclaim the lead with five to go, scoring the first win ahead of Denes and NorCal driver Horatio Fitz-Simon. Capping off the top-five were Jonathan Shone and Arie Zimmermann. The Ryan Perry Motorsports Mini Max feature race was won by Myles Farhan, who strapped on a rental Rotax engine Saturday night to earn the inaugural So-Cal Rotax Challenge victory. Farhan won the opening heat race, with the second moto decided by a few inches. Dante Yu finished just a tenth of a second ahead of Trey Brown with Farhan in third. Yu led the opening laps of the feature race but by lap five, Farhan took the lead. From there, he drove away to the main event victory ahead of Brown and Yu. 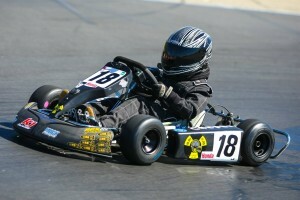 Cole Keith Cotham secured the victory in the 2 Wild KartingMicro Max category. Dominic Gorden and Cotham paced the field in the opening heat race with Cotham crossing the finish line first. Cotham however was removed from the results for a post-race disqualification handing the win to Gorden. Cotham rebounded very well as he led every lap of the heat two en route to the win. Gorden looked strong as he led the opening three laps of the main event before giving way to Cotham on lap four. Cotham then checked out on the field and drove to a whopping 19-second win over Gorden. Cameron Easton was removed for a carburetor issue in tech, which promoted Ethan Ho to the podium, ahead of Jalen Mac and Tyson Quach. 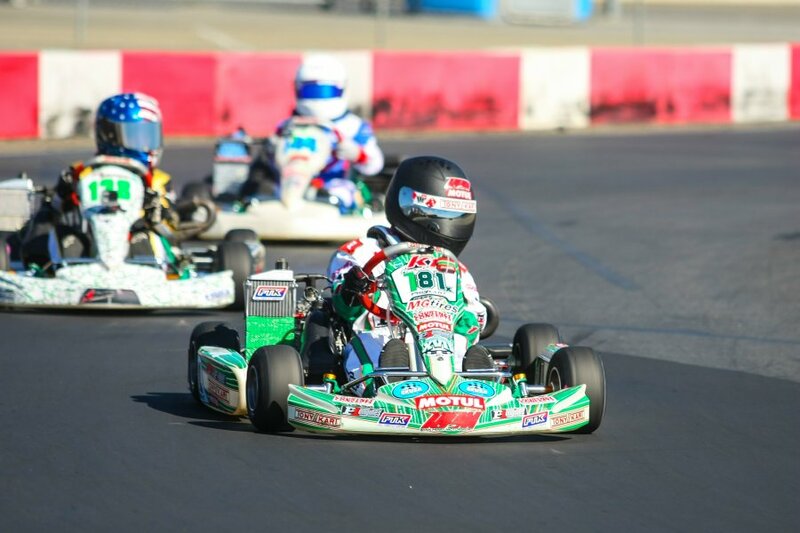 The youngest racers competing at the opening weekend of the So-Cal Rotax Challenge contested the local option Mack Motorsports Honda Kid Kart division. Cooper Hicks began the day by scoring the first heat race win, beating Nick Curry by over thirty seconds. The second heat race featured Hicks coming from the back of the pack with Curry pulling away from the field. When the checkers flew on the race, it was Curry clearing the finish line two seconds ahead of Hicks. The feature race however belonged to Hicks, as he took the lead on the opening circuit and drove to a 21-second victory. Curry ended up second, with Ian Dodge joining them on the podium. Delaney Adamo and Skyler Geczi rounded out the top-five. 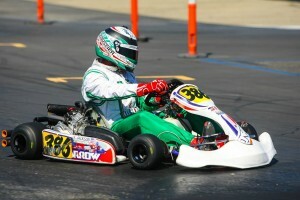 Erik Jackson was the lone competitor in the K1 Race Gear DD2 Masters category, sweeping the first round action. The new series returns to action following a two-month break, scheduled for another day of exciting and family-fun racing at CalSpeed Karting Center on May 10 to complete round two. 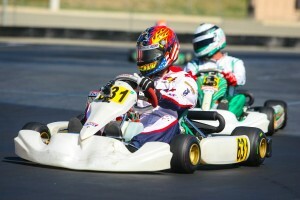 For all information regarding the So-Cal Rotax Challenge, be sure to bookmark the RotaxChallenge.com website. 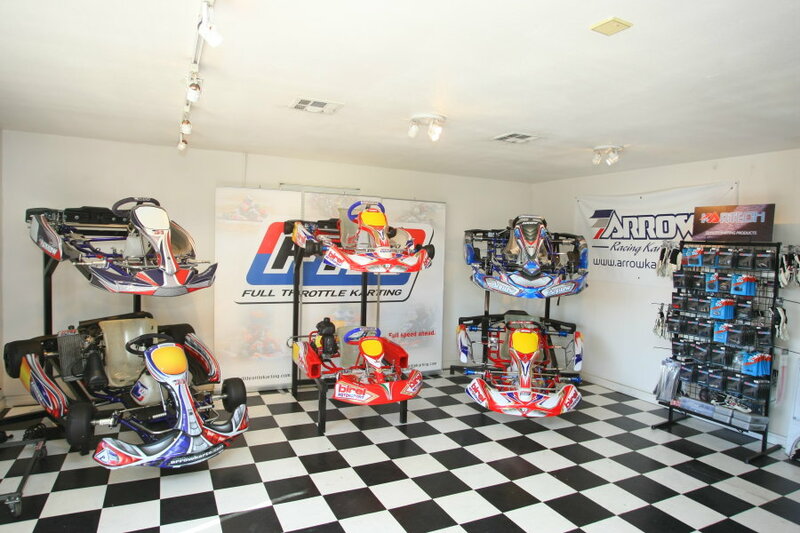 ORANGE, CA (March 11, 2014) – Full Throttle Karting (FTK) is Southern California’s full service kart shop focused on the TaG and Rotax divisions, and promotes the sport through a highly-visible retail storefront in Orange, CA. FTK owner Andy Seesemann’s operation has focused on the popular Arrow brand for the last several years, with much success, and is now happy to announce that the shop will be rekindling its support of the iconic Birel brand, welcoming the full line of 2014 products on the showroom floor. Full Throttle Karting began as a Birel dealer in 2002, and has supported the brand and it’s Birel customers since that day. 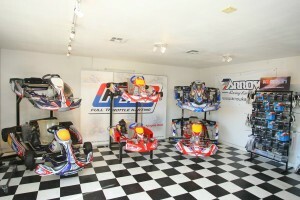 During the years of 2005-2008, more than 100 Birel karts were sold each year in Southern California, and these racers always needed support, both at events and between races. 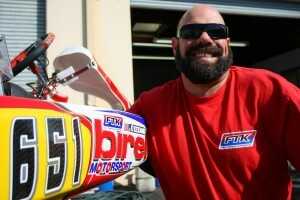 FTK has always had stock on hand to support Birel racers. In 2010, Seesemann moved his focus toward the Arrow brand, while still carrying the Birel product line. 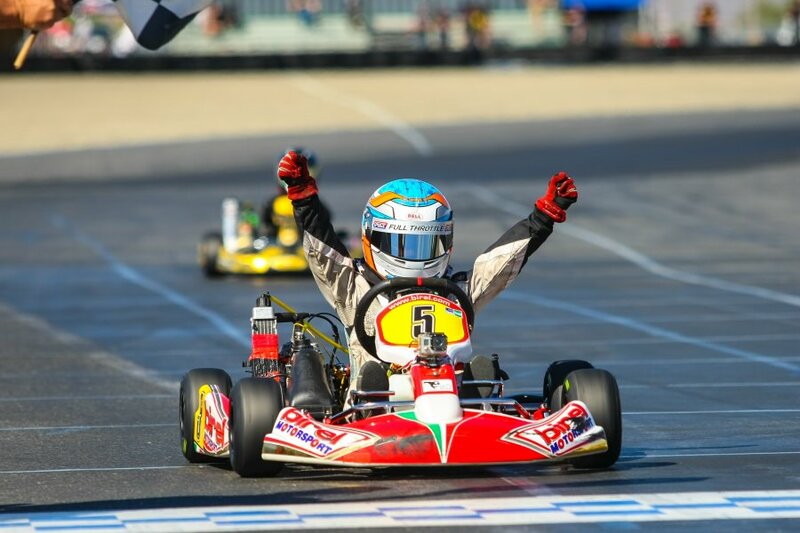 With three successful seasons of promoting the Arrow kart on the West Coast to the shop’s resume, Seesemann is excited about the new Birel line that is hitting the United States, adding the Italian marque alongside the venerable Australian brand. Birel is one of the iconic brands in the sport of karting, and is among the early manufacturers in the sport, dating back to the late 1950s, building chassis at their manufacturing facility in Lissone, Italy. The brand has earned countless victories and championships worldwide, featuring names like Mike Wilson, Gianluca Beggio, Mika Hakkinen, Robert Kubica, and Juan Pablo Montoya. 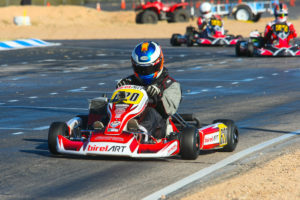 Birel has always made high-quality Cadet models, most recently dominating the racing on the western coast of the United States. New updates to the Birel chassis line for the younger drivers have already been proven with four straight Micro Max victories at the Rotax Challenge of the Americas program with the new Birel C28-R.
Full Throttle Karting is gearing up for a busy 2014 season, supporting drivers of all ages in both the Birel and Arrow brands, as well as FTK Rotax Engine Service Center racers. Drivers can find FTK trackside at the new So-Cal Rotax Challenge and at the United States Rotax Grand Nationals at the Miller Motorsports Park in July, along with Los Angeles Karting Championship events at the CalSpeed Karting Center. For more information on the full Birel and Freeline product line available, be sure to check out fullthrottlekartingshop.com. If customer service is your top priority, Full Throttle Karting is your solution. FTK is a full service kart shop owned by veteran karter Andy Seesemann – they are Southern California’s Rotax and TaG specialists. With over 20 years of experience, FTK provides the best products and parts available, matched with the best support and service in the industry, making sure each and every customer enjoys the sport no matter the results on track. Full Throttle Karting is the official Western United States Distributor of the Australian-manufactured Arrow Racing Karts along with a United States Distributor of the Italian-made Birel and Freeline product lines. 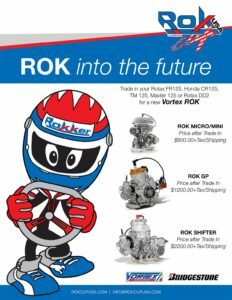 They are a long-time Rotax Max dealer and Service Center, along with supporting lines of Holeshot Drive Systems and many other karting products. 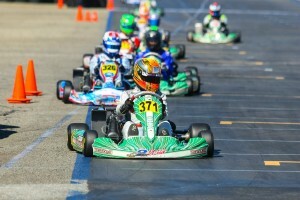 You can find Full Throttle Karting at many of the top national events throughout the season, at many local Southern California tracks, or online at fullthrottlekartingshop.com. 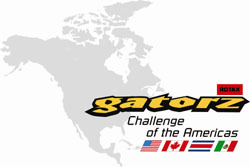 ORANGE, CA (February 28, 2013) – The 2013 Rotax Challenge of the Americas series will wrap up its season next weekend (March 8-10) at the CalSpeed Karting facility in Fontana, California. The ‘temporary-like’ circuit outside the Auto Club Speedway will host the finale for the premier winter karting series on the left coast a second straight year. 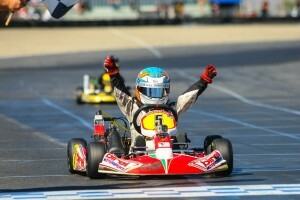 Some of the top Rotax competitors from the United States and Canada will battle for race victories before heading into the busy summer season, along with four tickets to the 2013 Rotax Grand Finals in Senior Max, DD2, DD2 Masters and Junior Max. Nearly every championship in the Rotax Challenge of the Americas program was decided on the final laps last year, and the same is expected this year. With the series counting the best five rounds of the six-race championship, no titles are locked. The Buddy Rice Karting Senior Max standings have 2009 US Rotax Grand Nationals champion Phillip Arscott at the top following a victory at each of the first two events. His advantage into the final weekend is 24 points with former Junior Max series champ Louie Pagano in second as Round one winner Parker McKean sits third, 60 points back. The Rolison Performance Group Junior Max class has two teammates leading the way with Luke Selliken and Blaine Rocha separated by 17 points. Each has two victories to their credit, one from each event, and carries a slight advantage over the competition heading to CalSpeed. Austin Versteeg and Noah Grey remain in the chase, 66 and 74 points behind Selliken. 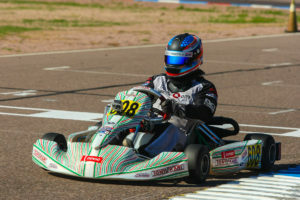 Defending Dallas Karting Complex DD2 champion Fritz Leesmann suffered his first non-victory round in Phoenix, but remains a top of the chase for the Rotax Grand Finals ticket. Series rookie Andrew Evans is 84 points back with three podium finishes, still with a shot at the championship, as Bill Kann holds the third spot. The Billet Performance DD2 Masters category has 2012 Team USA member Alan Rudolph comfortably out front. His 112 point advantage over Daryle Redlin has all but locked up the title, however, the Arizona driver will have to manage the CalSpeed rounds error free to confirm the ticket to New Orleans. One category that may be decided by a fast lap in either of the two feature races in Fontana is the CRG-USA Masters Max class. Three drivers enter the finale separated by just five points, equal to a fast lap main event or pole position bonus. 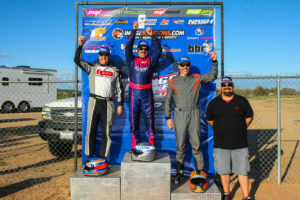 Utah driver Justin Peck stood on the podium all four events, earning his first series victory in Phoenix, and leads the championship chase. NorCal’s Donald Durbin Jr. has the same podium record, but not yet recorded a win, is two points back. Fellow Utah pilot Ken Maxfield also earned his first series win in Phoenix, and sits third in the standings five points behind Peck. With a number of drivers coming into CalSpeed that are schedule to compete, there is no telling who will leave with the championship and Grand Nationals entry. The stakes in the HoleShot Drive Systems Mini Max and Overdrive Motorsports Micro Max classes have doubled. Not only will the champions from each class be awarded a paid entry to the Rotax Grand Nationals of the driver’s country, the driver who earns the most points during the CalSpeed weekend in each class will earn a ticket to participate in the Micro & Mini Invitational. Horatio Fitz-Simon and Sting Ray Robb are the top two contenders in Mini Max, separated by 15 points at the top of the class standings. Fitz-Simon has been on the podium in all four main events with a win in the opening round, while Robb has two victories to his credit. Round 3 winner Chase Farley, David Rafailov and Sophia Price remain in the chase. Micro Max is very similar, as it’s a difference of 16 points with Liam Letzsch leading Payton Durrant heading into Fontana. Letzsch has taken home hardware from all four events, including a Round one victory. Durrant scored a feature win each weekend, with three straight podium trips. Anthony Willis sits third, 89 points out with a chance still to sneak his way into the title. eKartingNews.com will provide their ‘Trackside Live’ coverage throughout the March 8-10 weekend at the CalSpeed Karting facility in Fontana. Live audio broadcast begins Friday with the final round of practice, and will carry the entire action Saturday and Sunday from qualifying to the final lap of the main events at www.ekartingnews.com/live . Recordings of the previous events from 2013 can be downloaded through iTunes by searching ‘eKartingNews.com’.